Best place for field hockey gear reviews! Every player should find comfort in the type of shoe they choose to wear while on the field. Adidas has been working closely with players to ensure that they provide them with quality in the shoes they manufacture. If you are considering field hockey as your sport, here is a review of various Adidas branded shoes that you should consider investing in. The right pair of shoes guarantees that you will be able to take care of your feet no matter the type of surface that you play on. Keep scrolling down to see our recommendations of the best Adidas shoes for field hockey. 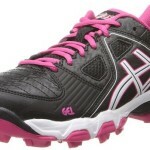 If you don’t know where to start or your first time buying shoes check out our overall guide to field hockey shoes. If you are looking for comfortable and fitting shoes, then this Gel-hockey is all you need. They have lace closure to ensure they snug fit perfectly. This shoe is designed with synthetic material and has midsole cushioning that makes it stable even while playing on the hard surface. The midsole also helps in reducing the weight of the sole, therefore, retaining the integrity and structure of the shoe and enabling the player to move swiftly. Additionally, this shoe ensures that the player enjoys the game since it is aggressive on turf patterns with its Adidas zone dux. The insole has a balanced cushioning to guarantee that the player’s ankle will be protected from both sides, therefore, making his movement flexible and convenient. This shoe guarantees full performance in technical activities to the benefit of players. It has a breathable textile lining to ensure that the player is comfortable throughout the gaming period. This makes the shoe comfortable all day and ensures that the feet will remain flexible. With this shoe on, a player is guaranteed that she will lead a happy lifestyle and promote total fitness and health. This shoe is designed with Adiwear surface material for longevity. Just like the ASICS models, every player who invests in the shoe will enjoy its flexibility and comfort. This Adidas lux shoe guarantees the player longevity, thanks to the type of material the manufacturers use in making it. It is ideal for use in the most synthetic turfs and still maintains its outward view. The shoe has a unique traction system that allows the player the freedom of turning their feet to any angle comfortably. Additionally, the shoe has mesh material around the toe area, which serves as ventilation. This ensures that the shoe remains comfortable all day, and that the player will not experience sweat even with vigorous movements. The insole cushioning is excellent and it guarantees that the player will not have to be worried about anything while they should concentrate on the field and the game at hand. Also, this shoe will ensure that you will not experience any foot pain due to the material and design of the product. A lighter material increases chances for injury. Some of the top performance shoes, this Adidas Lux Womens shoe is designed with the comfort of the player in mind. The shoe has double memory foam all around the heel area for a great snug fit and comfort. It is excellent on synthetic and grass turf, therefore, the player will enjoy using the shoe under all turfs without any problems. The shoes heel and forefoot has an amazing cushioning to keep you comfortable all day. Additionally, it has a huge amount of traction, which makes it almost the best shoe for experienced or newly joining players. It is molded with plastic that is strong for longevity. If you are the type of player who loves to enjoy the comfort of your gaming gear, this shoe will give it to you. Both the material and design have your interests in mind, therefore, making it a worthy investment. The best thing about this shoe is that it is unisex. Therefore, if you are buying for a team with both genders player, then it will serve the purpose. This Adidas adizero has been on the market for quite some time and you will, therefore, be sure that it has all the qualities you need for excellent performance. It has a lightweight design, which makes it flexible and comfortable. Multiple sections of the shoe have mesh material finishing, ensuring that it has enough ventilation to avoid sweaty feet. Lastly, this shoe sells at a low price compared to others on the market, which makes it ideal for whatever budget the player has. However, the quality of this shoe is commendable regardless of the price tag. This is one of the Adidas field range hockey shoes for men. What makes it almost the best is that it has a sprint frame technology design, which makes it the fastest in the field. However, you will only experience the benefit of its acceleration on synthetic turf since the grass grip is too small. This Adidas SRS guarantees the players safety with its strong but lightweight material. It has supportive insole cushioning that protects your heel and ankle. This Adidas zone dox has great material that is also breathable, therefore, giving you all day comfort. This shoe is specifically designed with the aim of amplifying the player’s speed. Therefore, a general look from the side will illustrate this due to the way the sole is made. Adidas is the brand used by most professional players in USA field hockey or other leagues around the world. Not only are there sticks top notch but their shoes are also some of the best in class. The brand has been making sports gear around 40 years now for this sport. Their products also come with a variety of designs and colors that are updated every year so there will always be a style for you. A major advantage of all these shoes is the lightweight material that is used to decrease the overall weight of the shoe. The material selection from the brand is researched so well to provide optimized performance during your game. Don’t know where to start? Check out our most popular buyer guides! Check Out Professional Level Gear At Adidas! Like Us On Facebook For A Chance To Win Brand New Shoes! 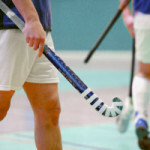 Choosing the best field hockey equipment can be tough. We're here to review the best field hockey sticks and gear for sale. Grow the game!